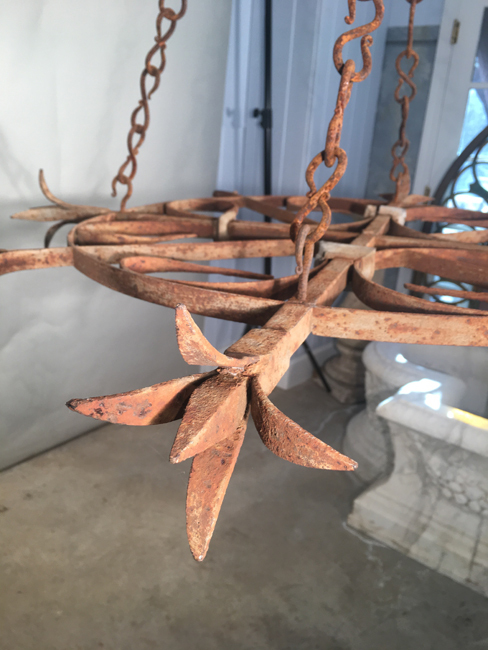 We bought this stunning piece because of its truly unique form and glorious patina and have converted it into an unusual chandelier platform. 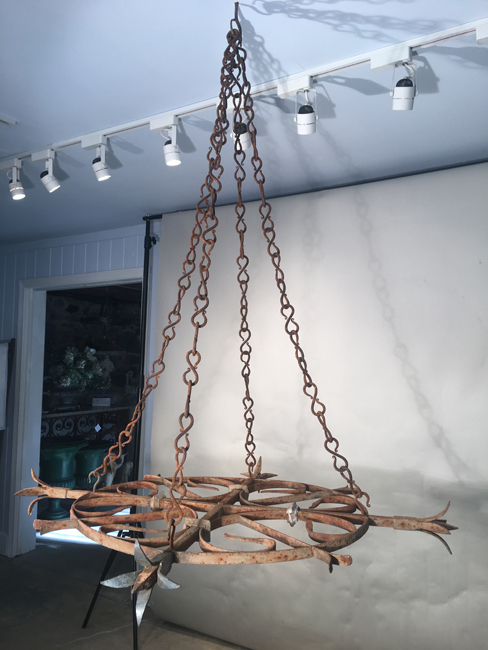 Sporting four rusty hand-wrought chains that loop over a large ceiling hook, we envision it with a plexiglass round cut to size and placed on top of the platform. Then fill up the space with fat pillar candles of various sizes for an amazing chandelier over your dining table. 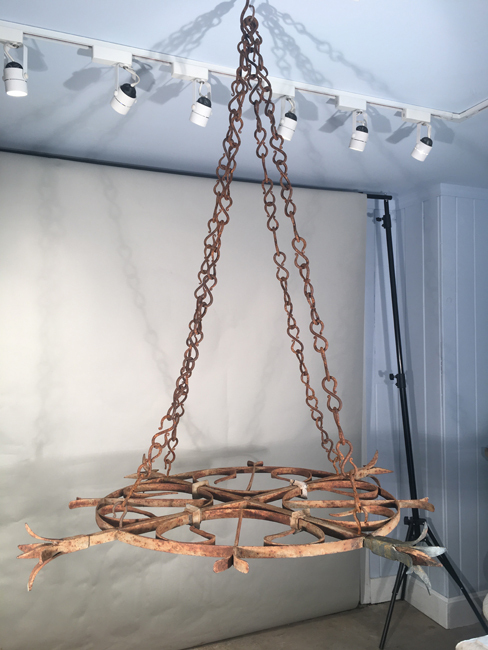 Please note that the chains can easily be shortened if you like. One of a kind!